Despite the fact that I’m a food blogger (well, one of my many hats), I never seem to find the time to bake or do special food projects. When I write about food three times per day, the last thing I want to do in my free time is dirty up the kitchen again right after posting lunch! But I’ve been itching to be creative, so this morning seemed like a wide open window for dirtying dishes. Especially dishes I could lick clean!! My first project was a batch of Lemon Rosemary Biscotti! Wayyyyy back in the day – two years ago to be precise – I won a batch of Earl Gray Biscotti from Sarah of Tales of Expansion. I’ve been thinking about them ever since!! I tweaked the original recipe to include rosemary and lemon instead of Earl Gray, and they came out absolutely divine! Pulse the dry together, add the wet, and pulse a bit more until a nice dough comes together. 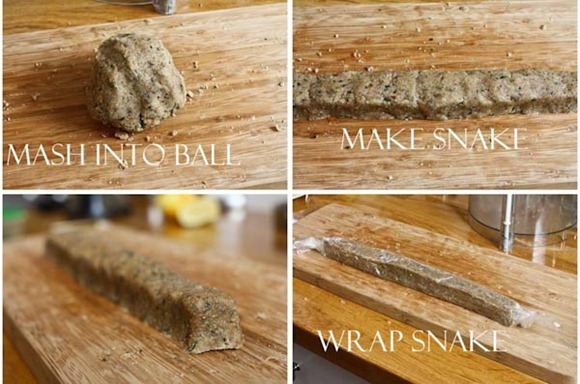 It will be really dry and crumbly, so you’ll want to mash it all together into a ball before molding into a square snake. This was harder to do than it seems, but possible! Mine was tiny – only about a thumbnail cross section, so you can shape it however you like – or double the recipe for bigger pieces. Wrap the snake in plastic and chill for 30 minutes. After chilling, slice biscotti and bake at 375* for 8-10 minutes. The thumbnail squares are awesome, but the two BALLS I made are even better!! 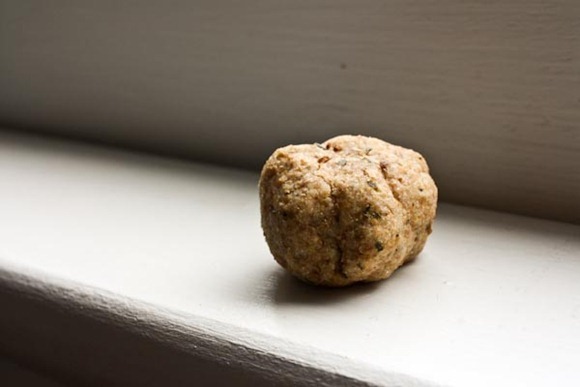 I’d recommend forming the dough into balls and baking for 10 minutes. Divine! I had one after lunch! Possibly the best peanut butter I’ve ever had!?! Gritty, crunchy, drippy, salty AND sweet. All in one! I used a bag of Trader Joe’s Honey Roasted Peanuts as the base. This only cost me $2.99 – not bad for a completely customizable product – especially in texture. It’s too bad I don’t have kids to lick my bowls for me – I was forced to clean the pot myself! After my kitchen projects, Matt and I went hiking! 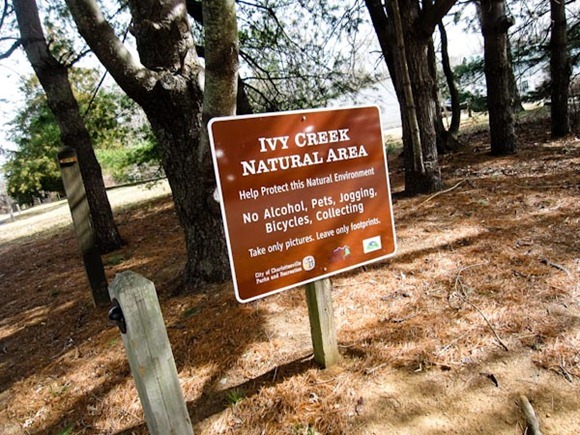 Just 10 minutes from our house is Ivy Creek Natural Area – 6 miles of nicely marked trails. So cool this is so close to home! Note that they said no jogging – guess we’ll be forced to walk! We paused on this bench for a while to take in nature. I can’t remember the last time I just SAT and LISTENED! Once back at home, we were hungry for lunch despite the peanut butter + biscotti snacking! 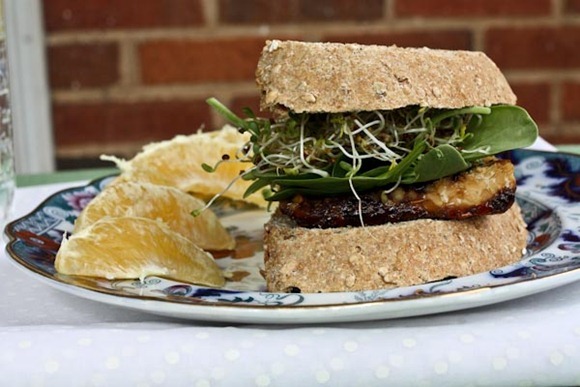 I attempted to re-create the tempeh sandwich that Faith had on Thursday at Sprout. 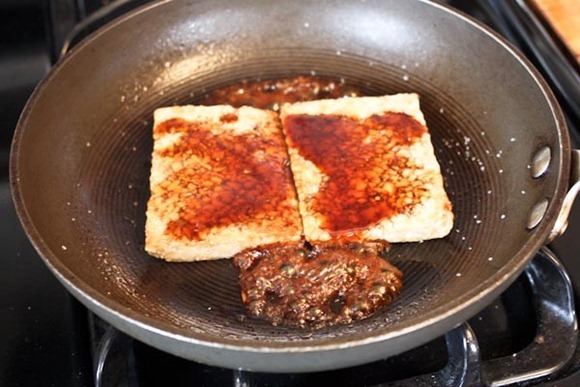 And pan-seared the tempeh slabs, topping them with the sauce at the end. 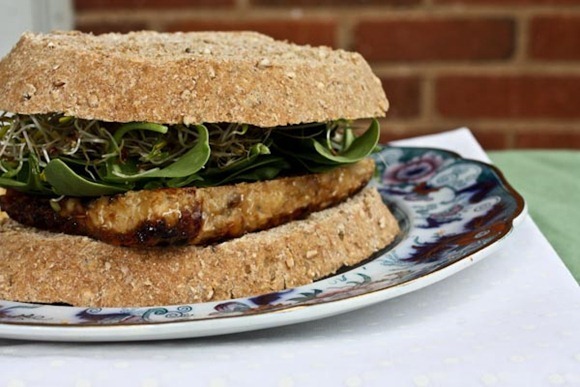 The sandwich was good – with sprouts and spinach – but not nearly as good as Sprout’s version! Time for a nice shower, laundry, grocery shopping and nachos! Gritty, crunchy, and drippy all combined into one pb jar? Sounds way too good to be true 😉 Have a great afternoon, Kath! That tempeh needs more sauce! Lots more ooey gooey sauce! I’ve been wanting to get out to the Ivy trails, even though I was a little pissed when I saw you can’t jog there. So lame. I need to start making my own nut butter. A made raw walnut butter awhile ago and LOVED it! I. Want. That. Peanut. Butter. It looks delicious! SO glad you decided to keep playing in the kitchen 🙂 My Mom would LOVE that biscotti – she’s a biscotti fiend and loves lemon, too. Thank you!! 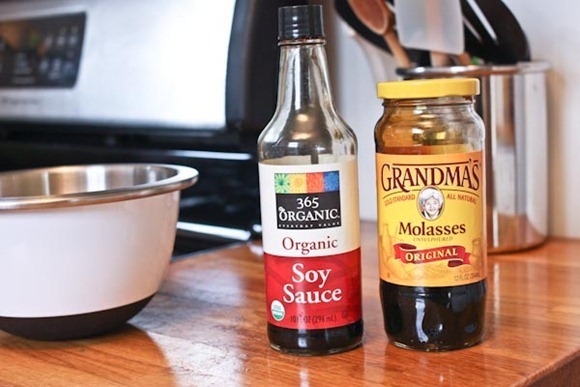 I’m going to have to remember that molasses + soy sauce for tempeh or tofu…it’s so simple, but I bet it’s delicious! I often wonder how you post 3 times a day…just b/c by the time one meal and blogging about it is done, it’s about time to do the next one! Let alone “creative” stuff…so thank you for taking the time today to make the biscotti. And the nut butter. THANKS For posting the minute by minute visual of it. That is sooo helpful what the stages looked like. Love those peanuts from TJs. And also love the placemat. The biscotti sounds awesome. And so simple. I bet you could use the base and alter the flavors. 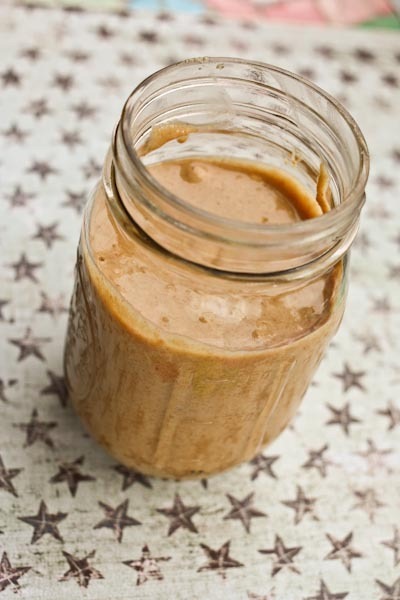 There’s nothing better than homemade peanut butter! 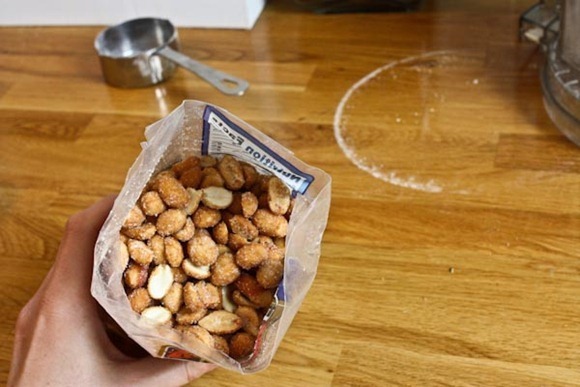 The extra peanuts at the end are key for crunch. Looks like y’all are having a perfect Sunday if you ask me! Honey and peanut butter in one delicious jar? Brilliant! Looks like a nice day in your world. That peanut butter looks really good! My mom has been begging me to make some, but I don’t know if my food processor can handle it. 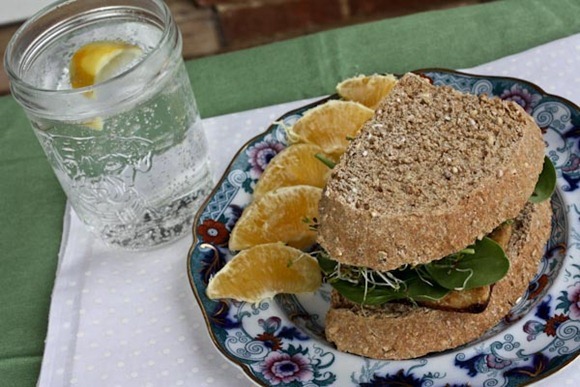 Well your tempeh sandwich looks good to me , but yeah sometimes the original place ( sprout ) is the best! Dang woman, I am tired just reading what you are up to today! I seem to always dirty the kitchen on the days that I don’t feel like cleaning it…like today. Enjoy the rest of your day! That peanut butter looks awesome!! I want to make pecan praline butter soon. I have that same bag of peanuts and have been wanting to use it to make peanut butter, glad to know it turned out well! I’ve never made homemade peanut butter before. Who knew it was that easy?! 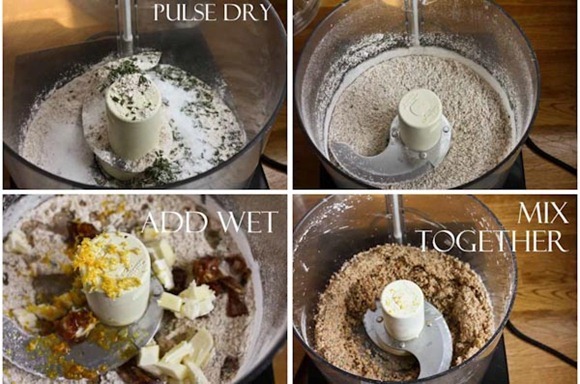 Do you usually make your own pb? What a lovely park to go for a walk. Kind of weird that there’s no jogging? Ah, well. I love hiking – there are great places to do so out here in California. How wonderful it is that you have a beautiful place close by! 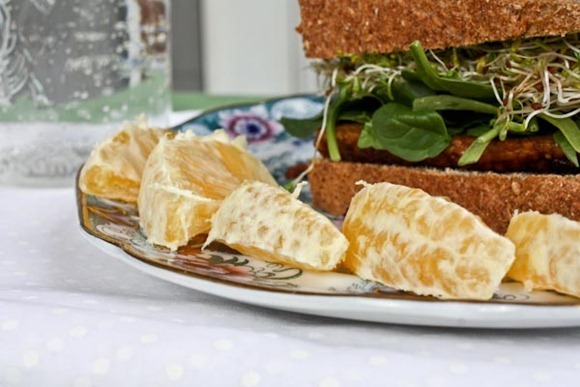 I would give anything to get my fiance to even TRY most of the things I eat, let alone ever try tempeh!! Has your husband always been open to trying new foods? Very nice scenery ! 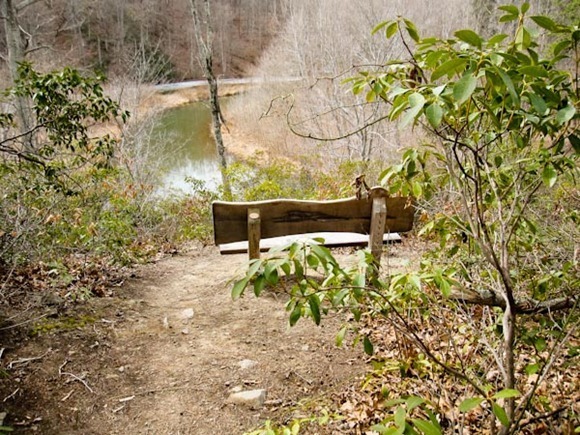 How fun you all get out to enjoy some fresh air in such a pretty area! The food looks good too! I love lemon desserts — and I laughed at the “form snake” and “wrap snake”. Sounds delicious though. And how hilaious that there is “no jogging allowed” there. But sometimes it is nice to just walk and really enjoy the scenery! Oh, Kath! The biscotti recipe looked good, but they were so un-biscotti shaped. =( My italian heart is sad! If you just wanted little balls and squares, well, to each their own! But otherwise, shape it in a loaf, bake it until just golden, pull it out, slice into traditional biscotti shape, then bake again until nice and toasty and cripsy! It is kind of a pain, haha, so I can see the appeal of biscotti squares. I have a little tiny 4 cup cuisinart food processor…I’m wondering if I could do nut butter in it! 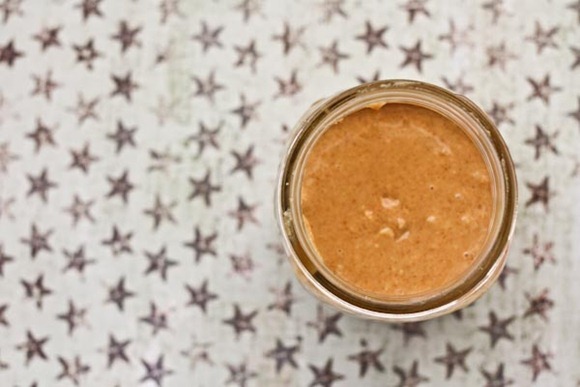 The honey roasted nut butter sounds delicious! Haha! Well, regardless, they look delicious! 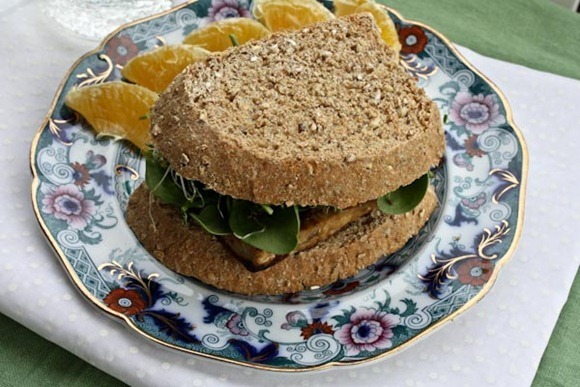 I was just thinking about your tempeh sandwiches a couple of days ago as I was reading another blog. I just don’t like it enough to eat it that way; I only seem to like it with it has loads of some sort of spicy sauce on it. Mmmm, love all your easy and yummy recipes! I’ve been on the kick with Ashley’s wholemade nut butters. But buying pre- roasted and spiced nuts is a wonderful idea- saves tons of time and energy! Whoa, that biscotti sounds awesome!! I’m a sucker for biscotti but it’s not always the easiest thing to get right. Looks great! 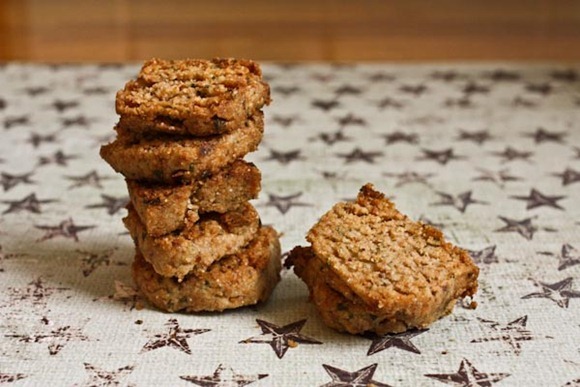 I never know quite what to do with Tempeh so I think I’m going to give that marinade a try. Oh man I LOVE biscotti! The bakery where I work makes two amazing flavors: lemon ginger and dark chocolate pistachio, and they’re not too dry which is how I like ’em! 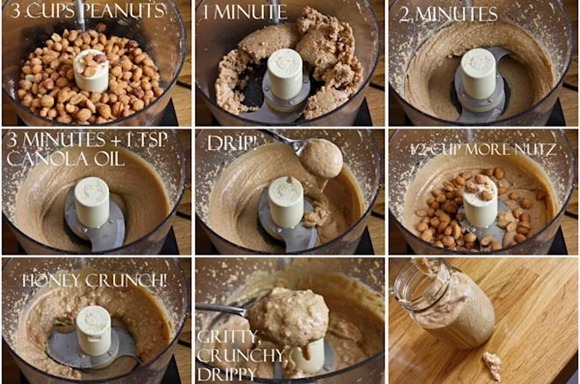 I am def going to try making some nut butter….thank YOU for the inspiration!! I read your blog regulary and love it. This is off topic but I just want you to know, I made Sardine Salad today and I Loved It!!!!!!!! 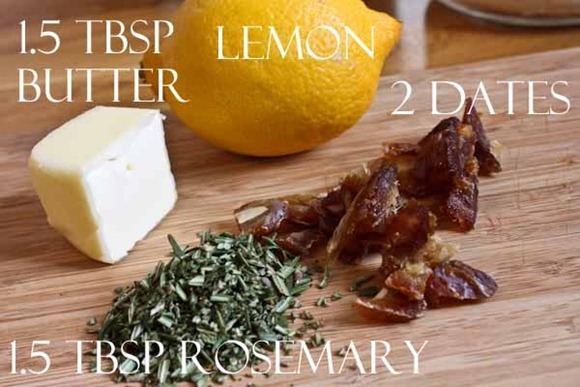 this is the first recipe I’ve ever ever seen to combine rosemary and dates! That peanut butter sounds/looks so good! I need to try my hand at making my own peanut butter asap! Oh, I can’t wait to see what kind of nachos you made tonight. 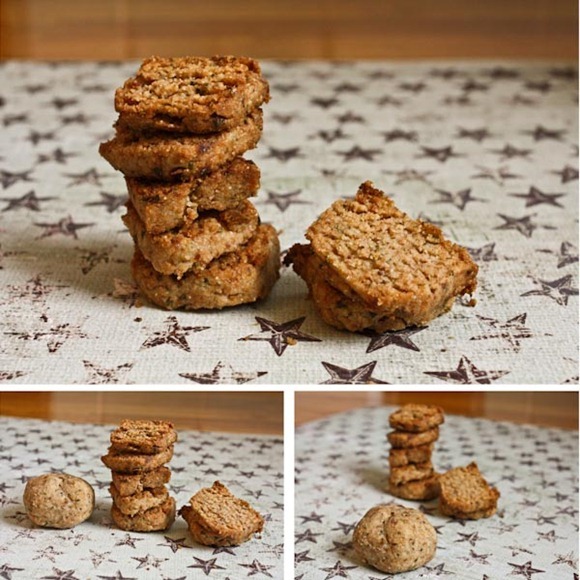 Your biscotti bites look really easy to eat since they are bite size and not one long hard log. I think you live in a hiking, biking, walking, jogging mecca! 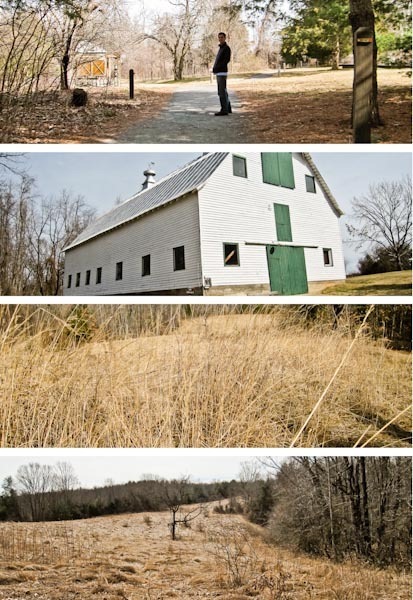 Seems like everyday you do something brilliant outdoors with great scenery. Looks like a wonderful way to spend a day! I like the flavor profile you chose for those biscotti. That’s one of the best parts of home cooking–or baking–in my opinion: coming up with food and flavor combos that are far more creative than the typical few offered in restaurants. Right? I wondered the same thing. Can you power walk, or skip? What about dance walking? Cartwheels? 🙂 So weird. I’m the same way about my kitchen on weekends lately, I love playing in it, but not washing everything after. Great eats, I’m such a tempeh fan lately. Hey Kath-What comment pluggin do you use? 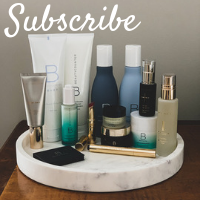 lol…I just figured out how to do it on my blog! Love the kitchen creations! Everything looked delicious! I must try that biscotti recipe. How fun! I’m still nervous about attempting to make my own peanut butter. Maybe one day. Yess! I’ve been wanting to do my own nut butters forever – and I have those honey roasted peanuts in my kitchen…. weird, no jogging? I’m not sure I’ve ever seen a sign say that! I want your sandwich. Mostly, I just want the bread that its made out of. That peanut butter looks to die for… sounds so good! I knew you’d love peanut butter from honey roasted peanuts!! 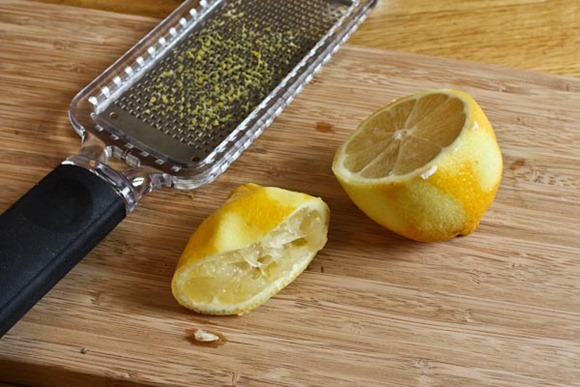 So simple to make and that gritty texture is KILLER!! The nut butter looks delicious! Do the homemade nut butters need to be refrigerated or can they be kept in the pantry til used up? I don’t refrige them. 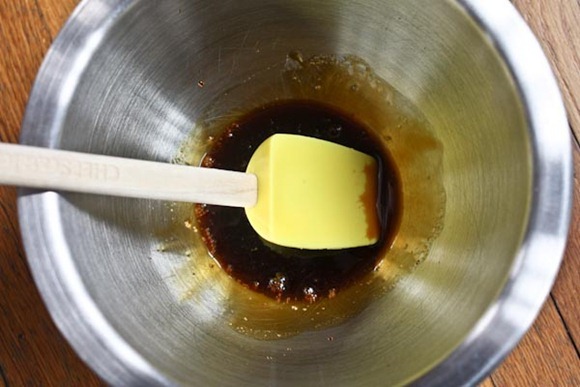 I think that’s mostly to keep the oils emulsified and I haven’t had a problem with that. Made the peanut butter today (we don’t have a TJ’s in Colorado so I had to wait until I went on a trip somewhere that did so I could pick up the peanuts) – it’s amazing! Thanks so much for the tip! Sadly, it burned out the motor on my mini-prep though 🙁 I don’t have a food processor but I loved my first experience making nut butter so much I think I’ll be picking one up soon (and replacing the mini prep). 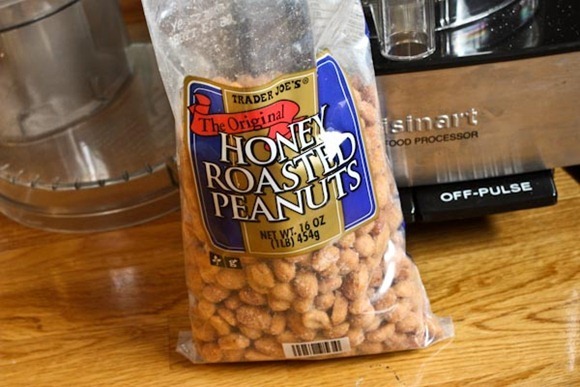 I so love using Trader Joe’s Honey Roasted Nuts for peanut butter, but I never thought of adding a pinch more nuts to make it crunchy! I made almond peanut butter last night and got a stomach ache from licking the bowl. lol I’m going to try the biscotti, they look good!! Thanks for sharing!! FINALLY! 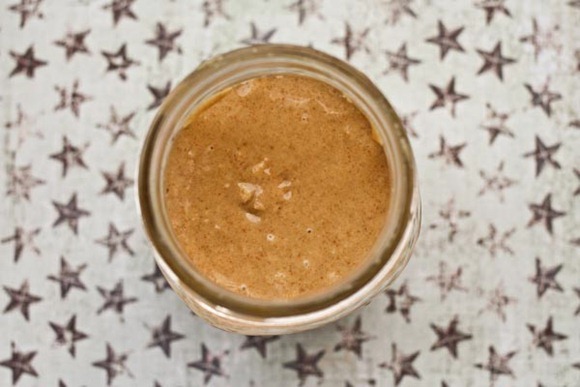 A nut butter recipe that works (as in, doesn’t harden after one day). Thank you SO SO SO SO MUCH!!! It is excellent and will be a regular in my pantry. I made my PB as you did, and it was drippy, but after a while it starts to clump, or should I say lose it’s drippiness. What do you do to keep it drippy? Or doesn’t it last that long? Do you refrigerate or keep in a dark cupboard? Thanks! Sounds like your oil separated over time. You could either…stir it vigorously every time you have some or refrigerate it, which will help with separation but will make it harder. 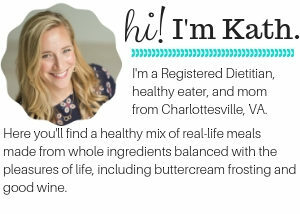 Almost all drippy nut butters are somewhat hard by the bottom..
Hey Kath! 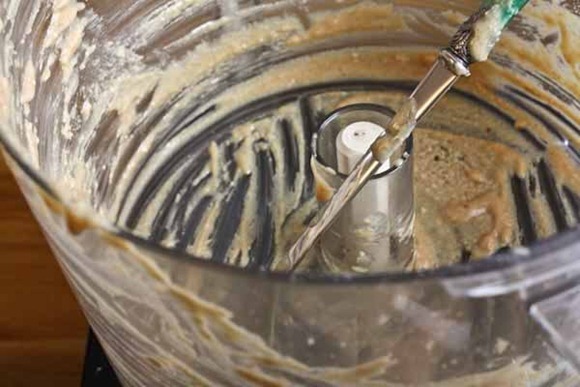 Sorry if this has already been asked, but do you think a Vitamix is good for making homemade nut butters?? Just bought one myself. I think you have one so was just wondering if you’ve tried it. Thanks! I can do that job – licking the processor bowl!